ProAves invites organizations and individuals working with different animal groups to participate in the workshop of the Alliance for Zero Extinction to be held in the framework of the IV Congress of Zoology 2014 in Cartagena. 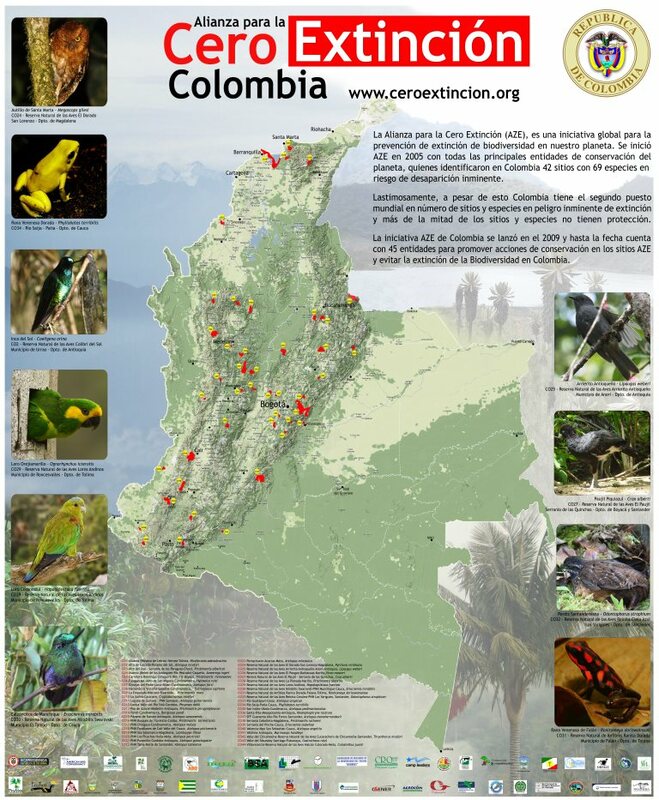 The workshop’s main objective is to integrate all conservation entities in Colombia who are interested in preventing the extinction of species in our country through the Colombia AZE-initiative. In this way promoting conservation actions by identifying sites that require protection and identify needs for conservation of such locations in order to implement programs to protect these species and their sites. Joining the Alliance is open to any conservation group that adheres to the principles of collaborative conservation.